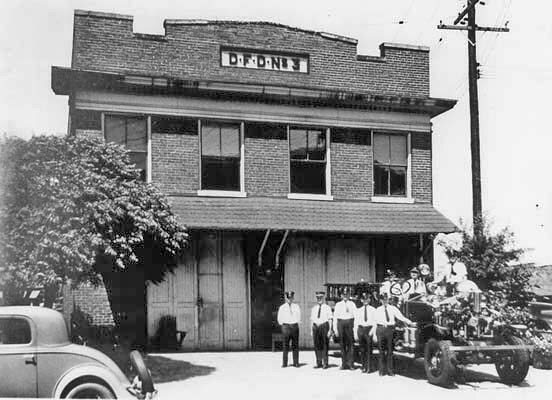 The Durham Fire Department was established in ~1890 with the "Golden Belt Hose Company." The first station was located at Holloway and North Mangum Streets, in the core of downtown. Today, there are roughly a gazillion stations. 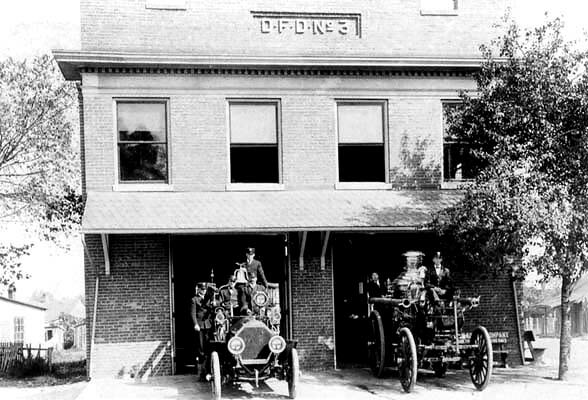 The Durham Fire Department was established in ~1890 with the "Golden Belt Hose Company." The first station was located at Holloway and North Mangum Streets, in the core of downtown. I remember well station No. 3 on East Main St., as my cousin Jube Evans was a number of years was a driver. I fondly remember going to the fire station when I was a small child and having lunch with the firemen and we always had tomato soup, also, in the back of the station Jube had a "gold fish" pond (or whatever it was called). Also, remember the Greek family, Dennos) who lived next door. Really great memories. 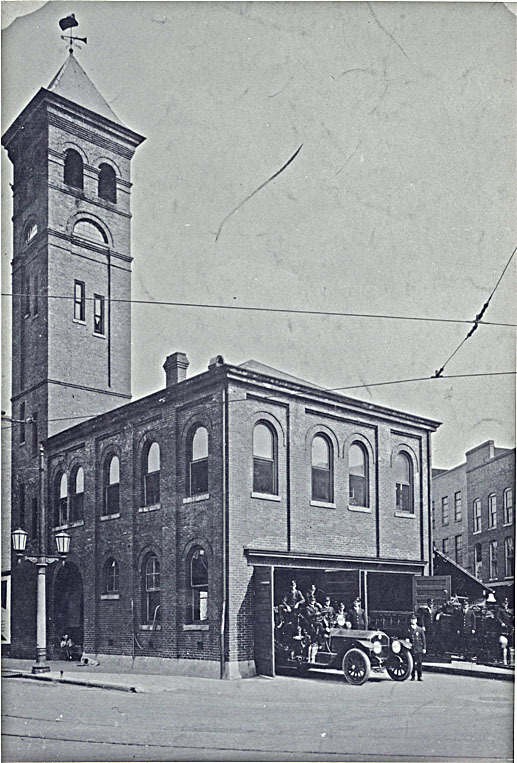 The home of the "Golden Belt Hose Company", a primarily volunteer firefighting squad, was constructed at the intersection of Holloway and Mangum Streets in 1891 on land adjacent to the E.J. Parrish tobacco warehouse. It was designed by Samuel L. Leary, had an electric alarm system, and an 829 pound bell in its tower, cast in Baltimore. 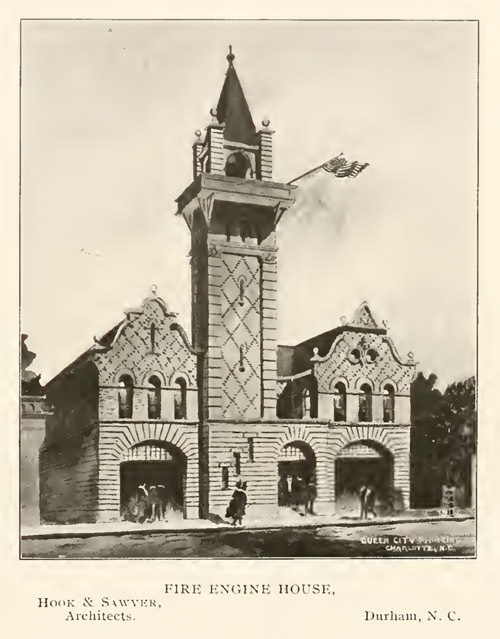 The original Fire Station #2 was constructed on the north side of West Main Street, across from the W. Duke & Sons cigarette factory between 1888 and 1893. The original building was a frame structure with a reservoir at the rear of the building. The building was located on Duke Co. land through a lease arrangement with the company, wherein the tobacco company built the structure. 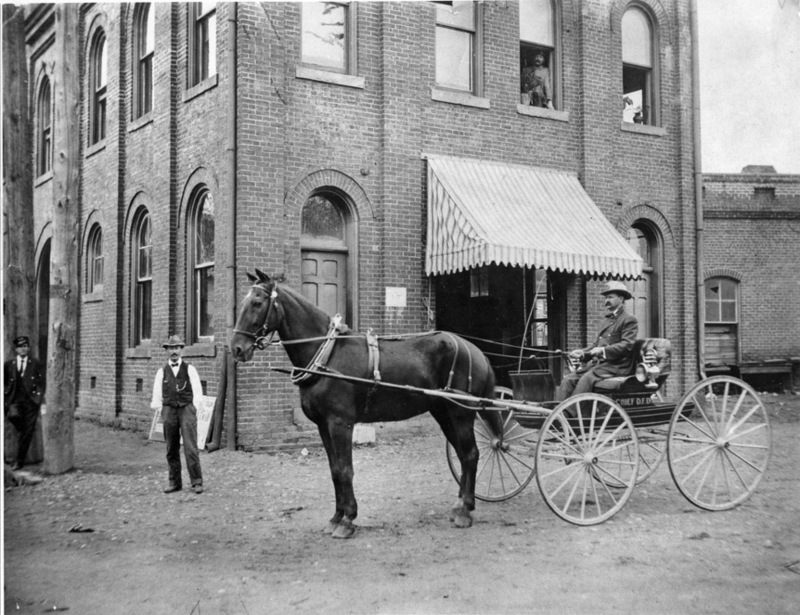 The Independent Hose Company #2, a group of volunteer firefighters who owned their own equipment (except for the hoses, which the city owned) manned the station, and Duke company provided 0 per month to feed the horses. The city agreed to buy a new truck and two horses, and employ a driver. 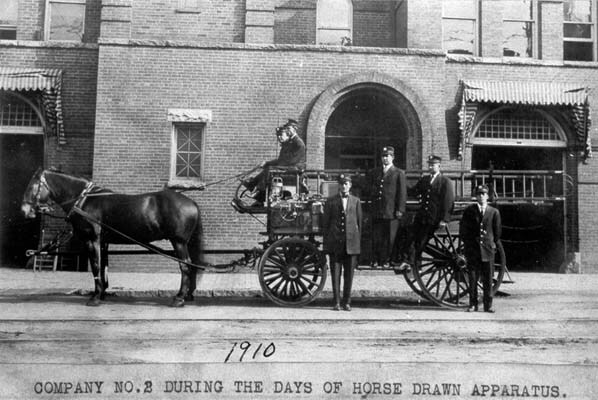 When the volunteer company was disbanded, Captain Bradsher of the fire department formed Hose Company #2, outfitted with new city-owned equipment, except for two horses (Frank and Ben) 'transferred' from the African-American hook and ladder company to company #2. 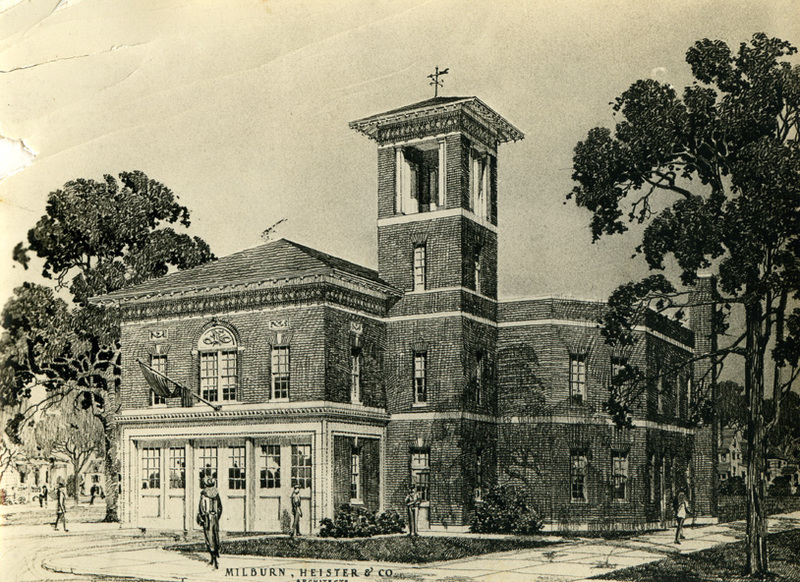 By 1902, the frame building was considered outmoded, and a new structure was commissioned. It was built in 1902-3, opening on August 3 , 1903; W. Duke and Sons contributed 00 to its construction. It was designed by Charlotte architects Hook and Sawyer, who designed multiple early Durham structures. 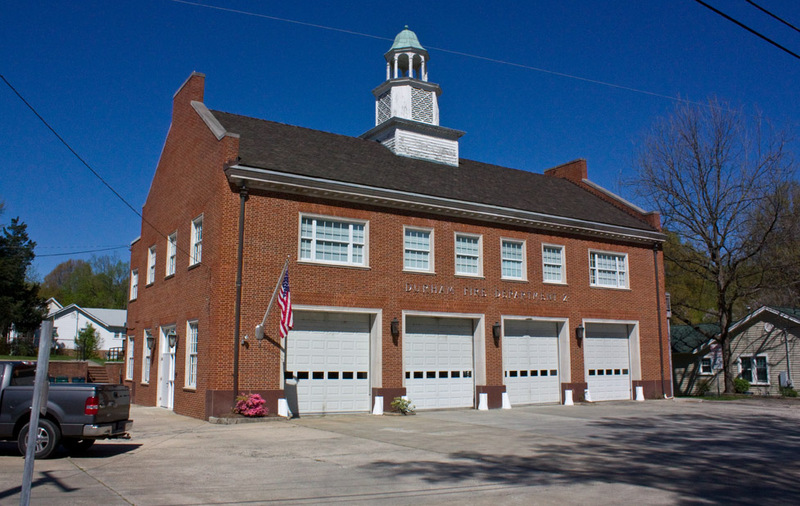 The station was the second brick fire station constructed, after the original fire station at N. Mangum and Holloway Sts. 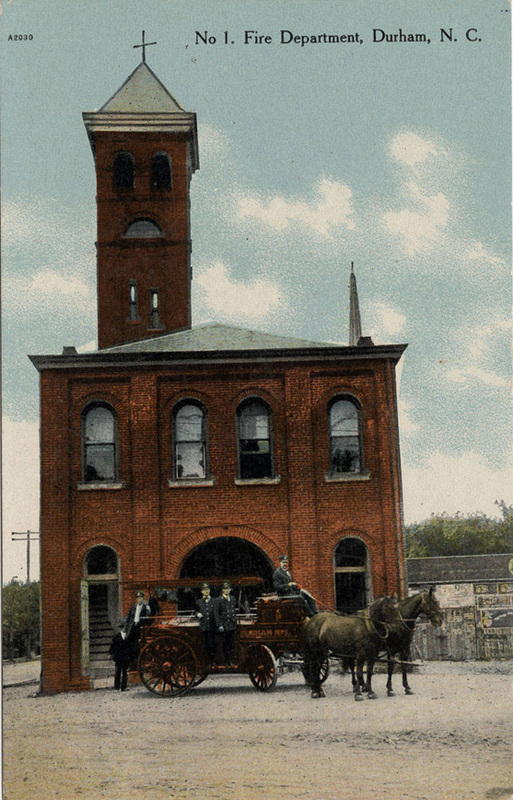 Fire Station #2 between the Cobb and O'Brien Warehouses, 1910s. This is one of the few pictures showing the Cobb warehouse prior to the addition of three upper floors to the building. Here it can be seen, obliquely, at ground level during shift change at Liggett and Myers. And it was still standing post-1948, when the New Cigarette Factory was built (i.e. big blocky black-striped building). 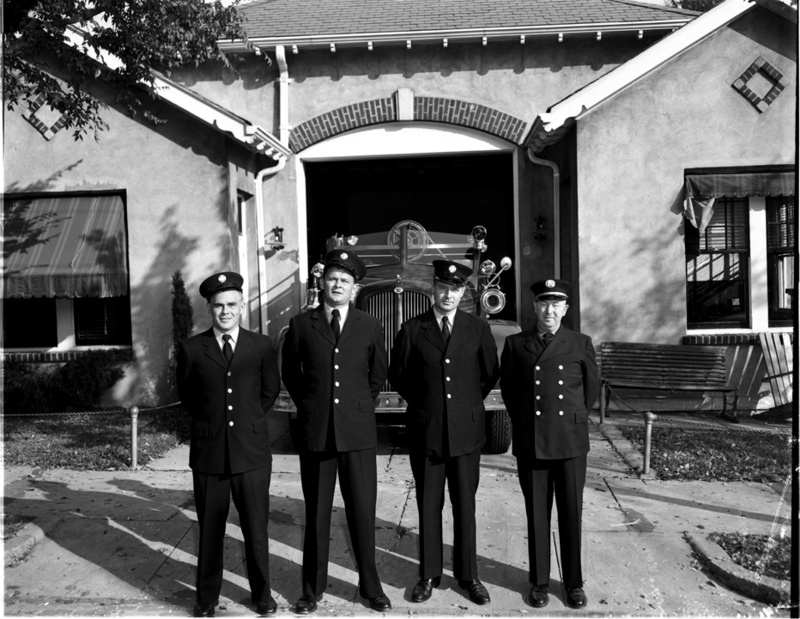 Fire Station/Company 2 was relocated to a new station on Ninth Street in 1951, where it remains. 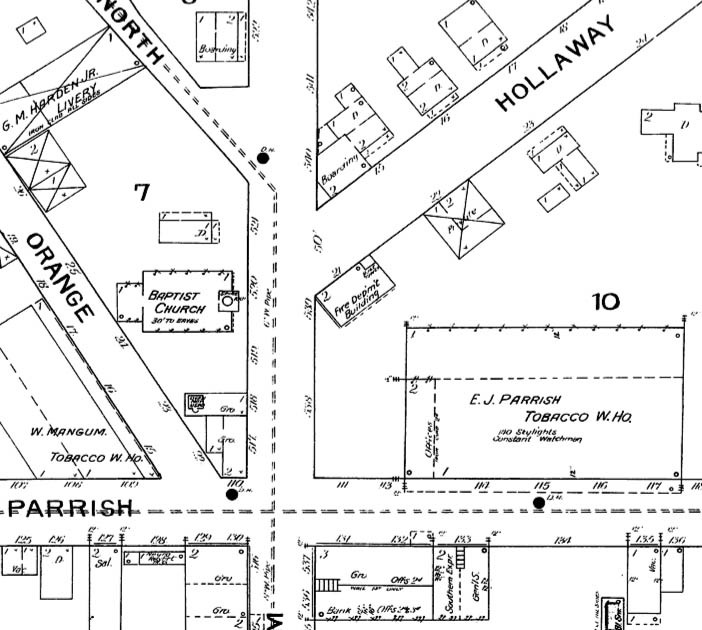 The land, per the original lease agreement, reverted to the tobacco company. Above, Fire Station #2 in 1951, as the company prepares to move to 9th St.
After the move to Ninth Street, 1951. The building was torn down sometime soon thereafter, and the site became an empty courtyard between Liggett Buildings. I can understand why Liggett would have removed the fire station to have better access between their warehouse buildings, but what a shame - I love the similarities and contrast between the mission style fire station and the industrial Italianate warehouses around it. The last of the 'original' fire stations downtown, fire station no. 3 was constructed in 1911, housing a steamer engine and a hose wagon. The 500 block of East Main St. (between Dillard and Elizabeth streets) was constructed as a wide, divided street with a median - but only for one block. The fire station was constructed at the point the street narrowed back to 2, undivided lanes, moving east, at the Elizabeth St. intersection. Sanborn map of the station and surrounding area, 1913. 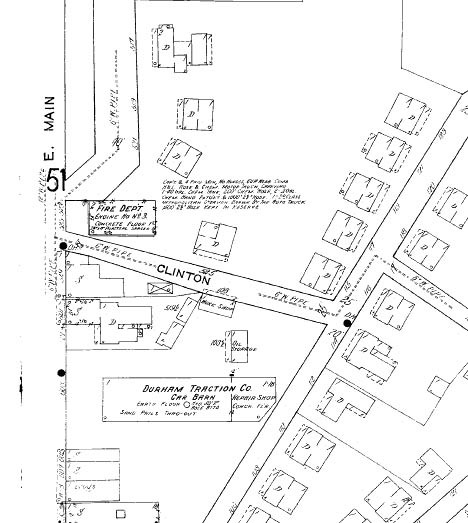 The divided portion of the street was narrowed sometime in the late 1910s or early 1920s, and the reclaimed road was accorded to the property on the north side of the street. Houses and an apartment building were built along the new frontage. In April 1953, the station was moved eastward to South Driver and East Main Sts.By 1962, the building was being used as "Hurley's Garage." 527 East Main, the old fire station building. Around 1969, the former fire station was torn down by the city using urban renewal funds. The land became part of the Oldham Towers / Liberty St. Apartments public housing complex, which it still is today. Fire station no. 3 is now located on Miami Blvd. 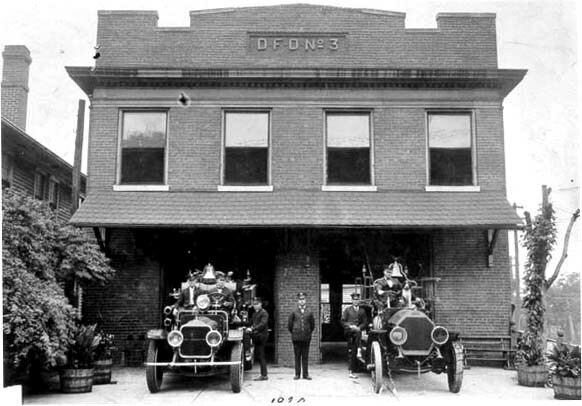 Durham would rely on these three fire stations until the mid-1920s. 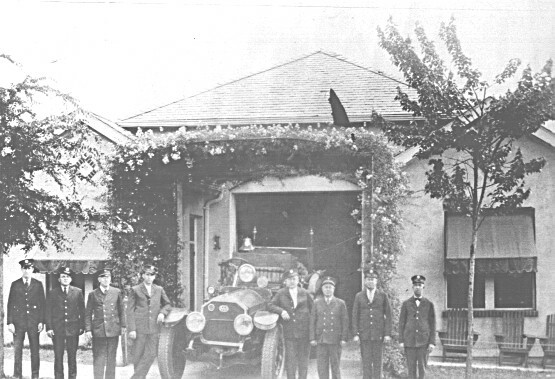 In 1924, Fire Station # 1 was replaced with a new, Milburn and Heister-designed structure that was similar in style to the original. And for the first time in 15 years, the number of stations would expand in 1926 with the construction of Station 4 on McMannen Street (later South Mangum Street,) serving the burgeoning neighborhoods south of downtown. Fire Station #4 was constructed in 1926 on the northeast corner of McMannen St (later South Mangum) and Cobb St. at a cost of ,350. 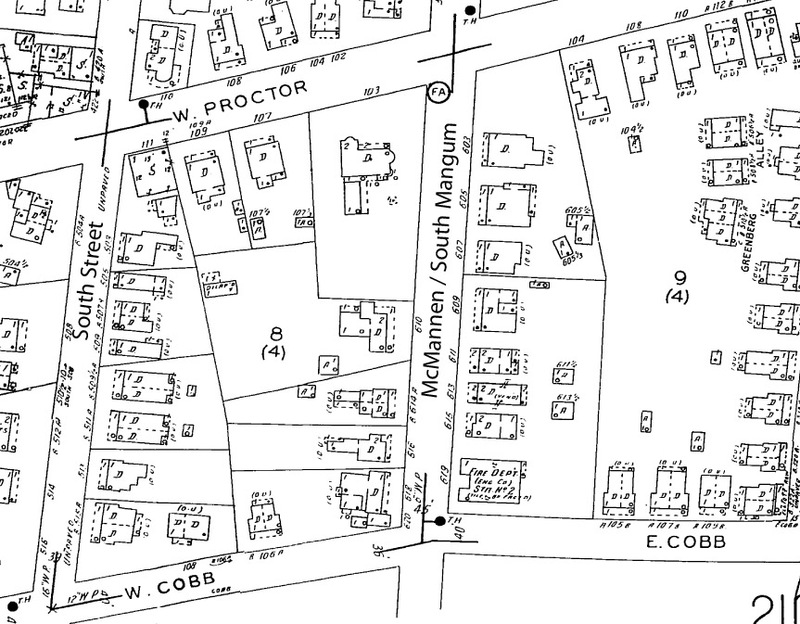 Sanborn Map, 1950, showing the fire station on the northeast corner of Cobb and McMannen. 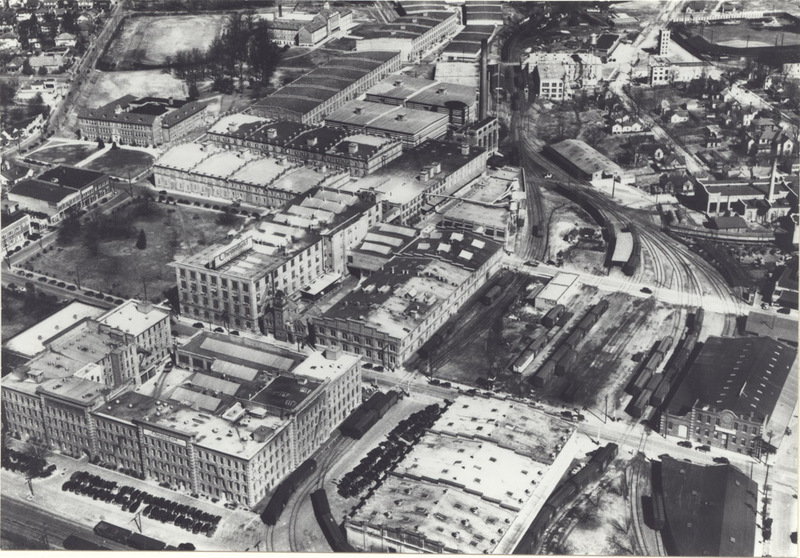 It served the southern portion of Durham until October 1958, when the company moved to a new station 4 that had been built at 1801 Fayetteville St., across from North Carolina Central University. It appearts that the former station was demolished prior to urban renewal. 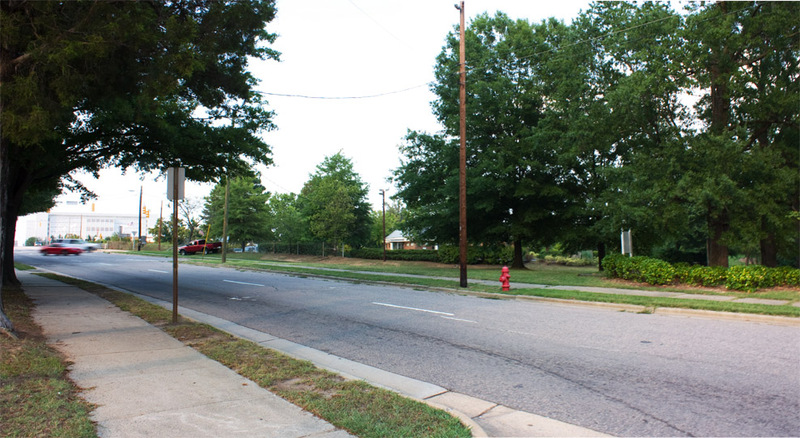 The surrounding neighborhood was, however, demolished by the urban renewal program in the late 1960s/early 1970s, and Cobb Street was eliminated east of Duke Street. 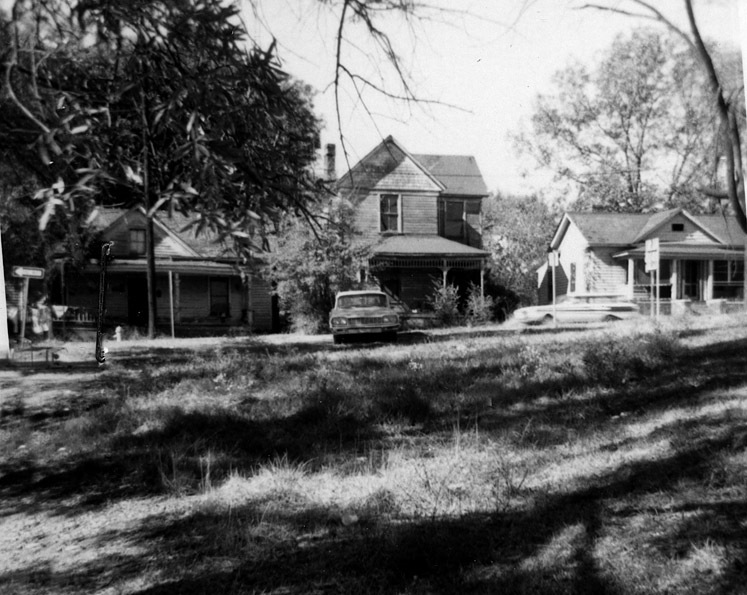 Looking west across the 619 South Mangum St. lot towards the west side of the street, 1973. The site of the former station is an amorphous spot amidst the strange land uses south of the Freeway and north of Lakewood Avenue. Looking northeast at the former northeast corner of Cobb St. and South Mangum St., 08.21.08. The traffic light is the present intersection of Morehead and South Mangum St., and the jail is visible in the distance. 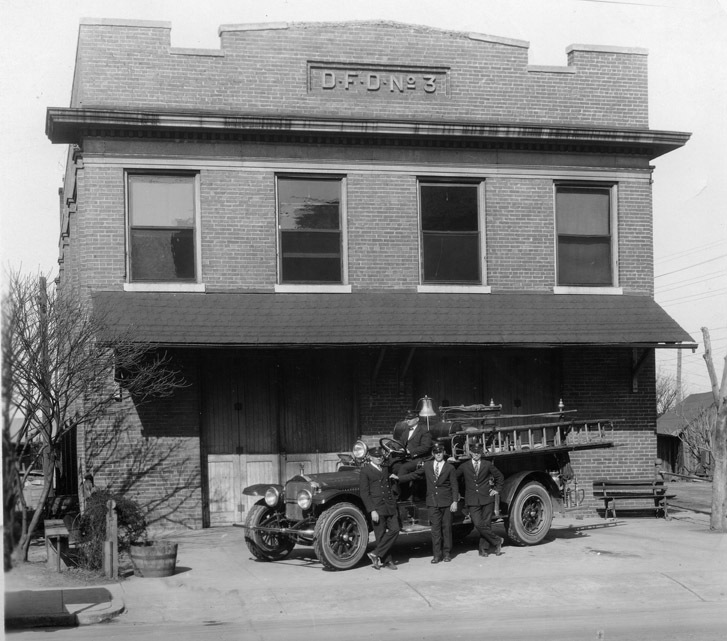 In 1950, the original Fire Station #2 was demolished, and a new Station 2 was built significantly farther west, in the core of West Durham on Ninth Street. The Ninth Street property was purchased by the City from the heirs of Mrs. Ida Couch for about ,000. The City moved the station further out to get faster response times to fires in the residential areas and nearby schools and hospitals in West Durham. 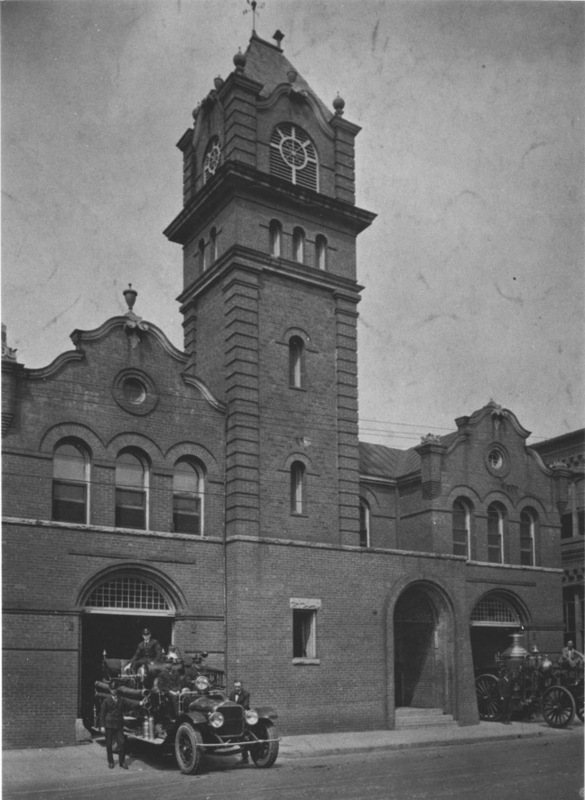 The colonial-designed fire station was built for 5,000 and was described as "one of the most modern fire stations in the South." The station was formally dedicated on September 28, 1950 by Fire Chief Cosmo Cox. 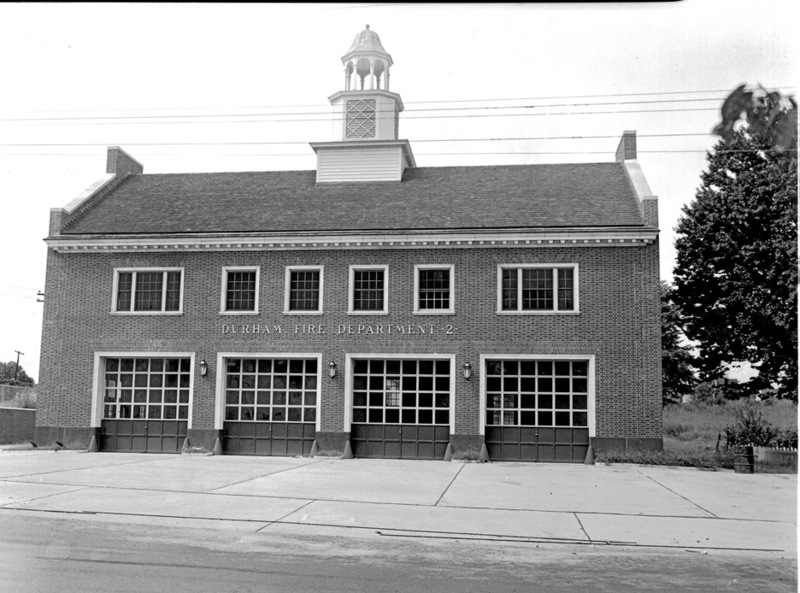 Completed Fire Station #2, 1950. 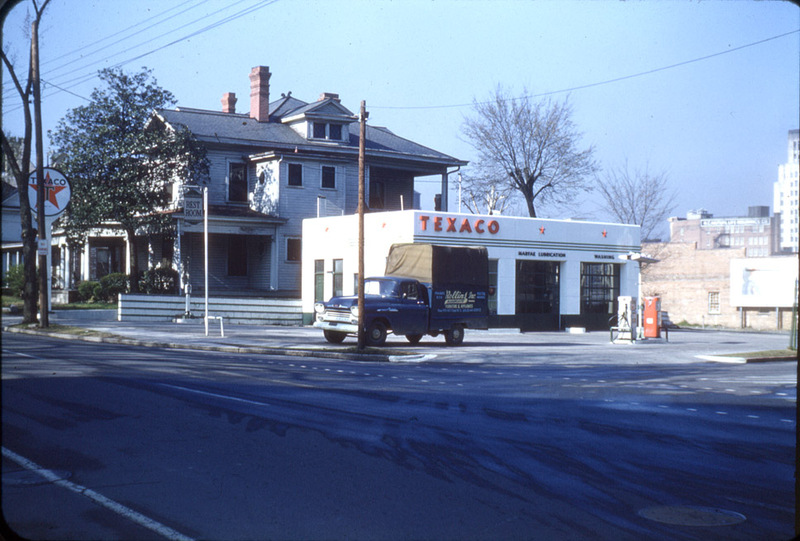 In 1957, Company 3 would move eastward on East Main Street to the core of East Durham, at East Main and South Driver. 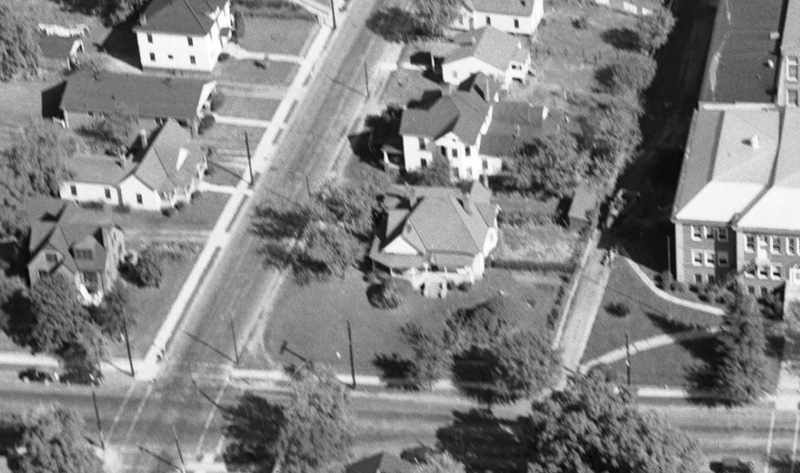 Aerial of 103 South Driver, early 1950s. The southeast corner of East Main and South Driver Sts., 103 South Driver (yes, the odd and even numbers switch sides of the street on South Driver vs. North Driver) was the site of an Victorian frame structure from the early 20th century until the mid 1950s. 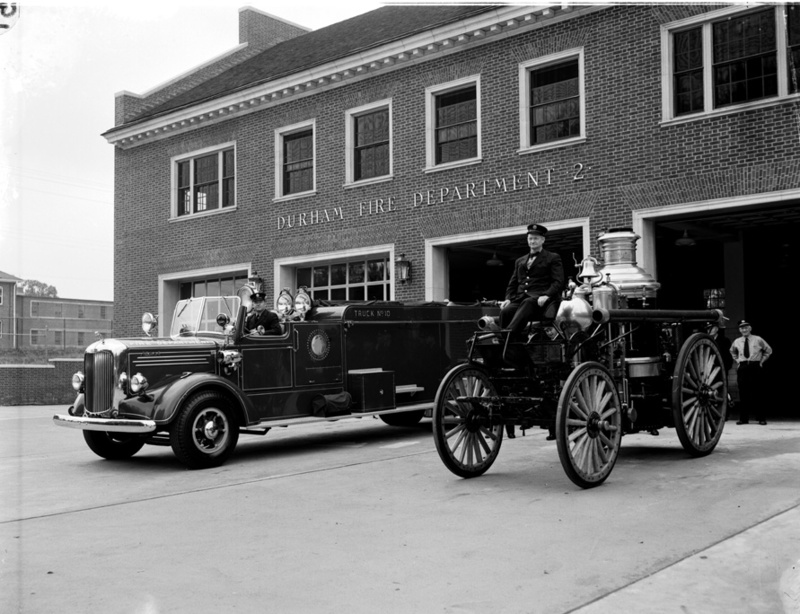 In 1957, the Durham Fire Department supplanted the original Fire Station #3 at East Main and Elizabeth Streets with a new Station #3 at this location. This remained the fire station that served East Durham for the next 40 years. In 1998, this Fire Station #3, and Engine #3 moved to 822 North Miami Blvd. The building at 103 S. Driver was taken over by the Public Works division of the City of Durham. Neighbors say they were saddened by the move at the time, as the persistent presence of the firefighters helped to stabilize the area during the 1990s. 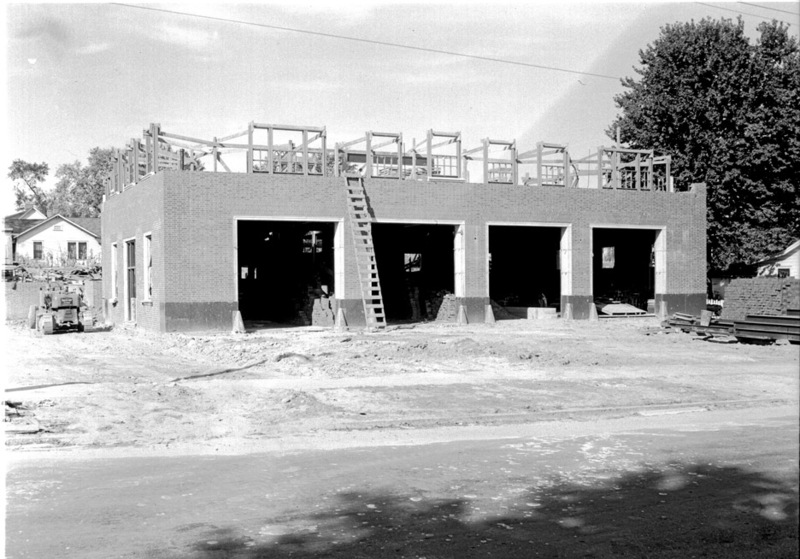 When Fire Station #5 opened in Lakewood in 1960, it was the first expansion of the number of fire stations in Durham since 1926, when station #4 had opened on McMannen St. Station #4 had been replaced in 1957 by a new station #4 on Fayetteville St., which appears to have been identical to Station 5. The station displaced an earlier house on the corner of Ward St. and Chapel Hill Rd., for which I don't have a picture. 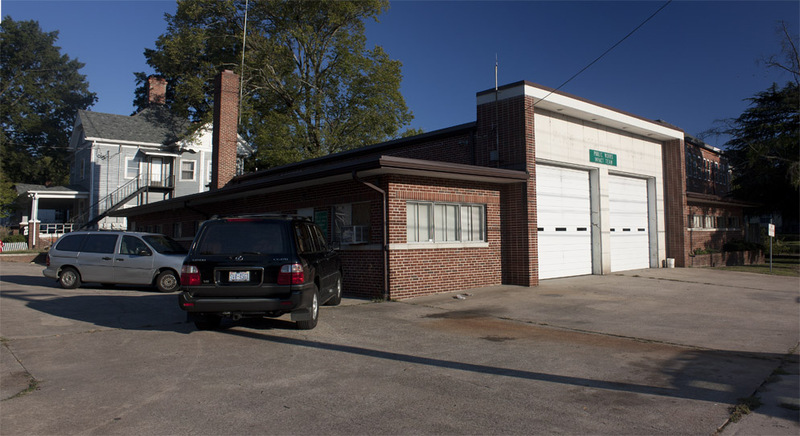 The station cost ,000 to build, and when Durham made the rather strange move to a unified 'Public Safety Officer' rather than separate police and fire departments in the early 1970s, Station 5 was the first to make the switch. The city reverted to separate police and fire departments in 1985. Station 5 remains in operation, and I think it is the oldest station still in its original building. In 1964, Company 1 moved to a new Fire Station #1, although the 1924 station was not demolished - this 1964 station remains its home today. The third iteration of Fire Station #1 was part of an urban renewal project that demolished part of the formerly exclusive Cleveland Street neighborhood north of downtown. 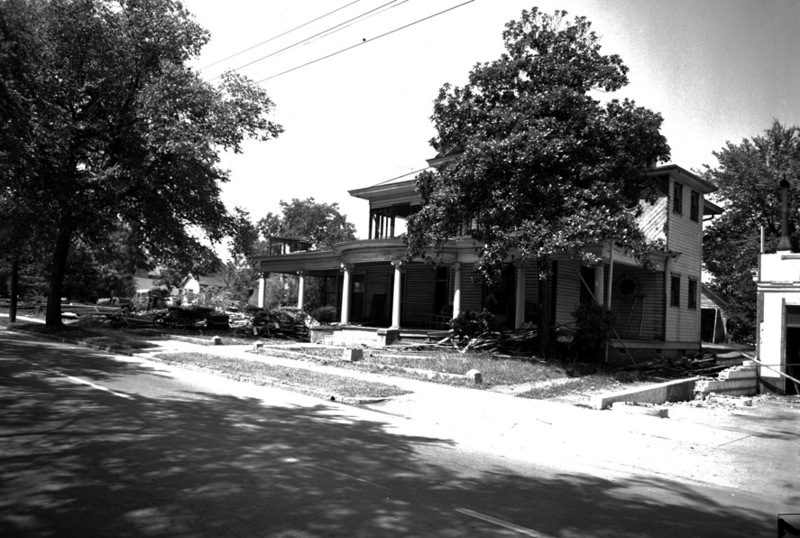 The 500 block of Cleveland St. was, by the early 20th century, filled with large Victorian houses, constituting part of the first wave of fashionable houses of the well-to-do built along Mangum and Cleveland Sts., just to the north of downtown. By mid-century, these early neighborhoods had seen significant transition due to commercial growth of downtown and outmigration of the wealthy. Many were transformed into rooming houses / apartments, and some were torn down for commercial uses. 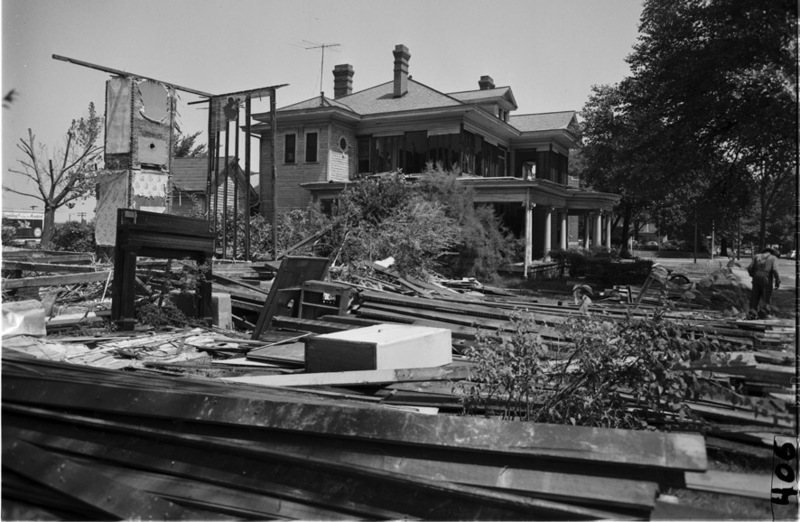 In 1961, the remaining houses on the west side of the 500 block of Cleveland St. were demolished to make way for the extension of Morgan Street east from N. Mangum St. to Holloway St.
"Destruction of Houses for Morgan Street, 07.24.61"
In 1964, the new Fire Station #1 was constructed on the remaining chunk of this block face, when the Fire Department abandoned the original station location on North Mangum St. 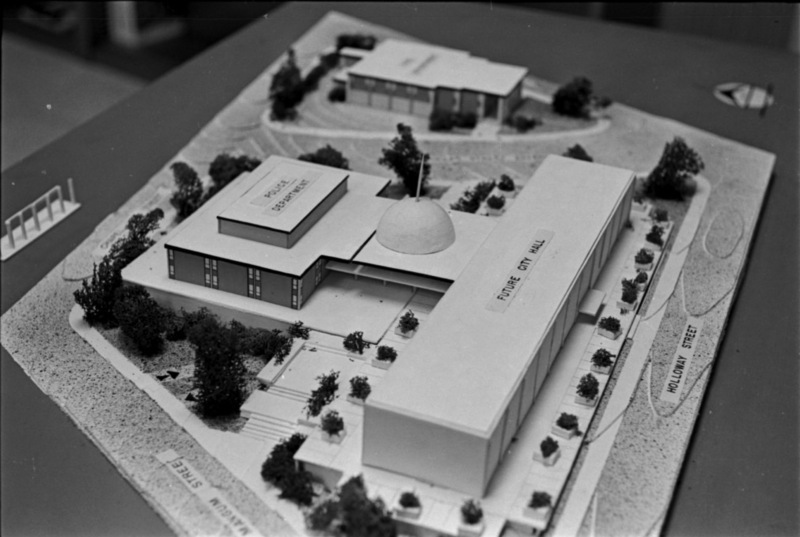 The grand plan for the city government center; fire station in the background. 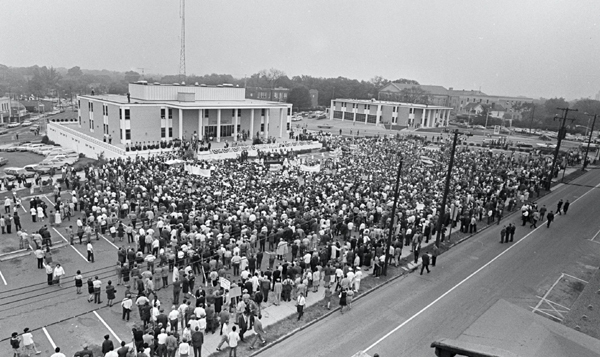 To give you a sense of the times and the divisions in Durham in the late 1960s, this was a George Wallace rally at the police station, 1968. In less political, architectural analysis, you can get a sense for how the police station and Fire Station #1 were supposed to interact with one another in a modern interpretation of a classical forum. Former 500 block of Cleveland St., looking southwest, 2006.